Finding a Free, Online UML Tool? Here is an online UML tool that's both wonderfully easy to use and refreshingly intuitive - Visual Paradigm Online. With features like Resource Catalog, alignment guide and a rich set of formatting functions, you can draw UML diagrams conveniently and quickly. Visual Paradigm Online Express Edition is free for non commercial use. It supports UML, ER Diagram and Org. Chart tools. You can create unlimited number of UML drawings, ERDs and org and with unlimited number of shapes. Charts. Advanced diagram types such as Flowchart, ArchiMate, BPMN, mind map are all available in higher editions in very low cost. Visual Paradigm Online is ridiculously easy to use even for beginners: No learning required! 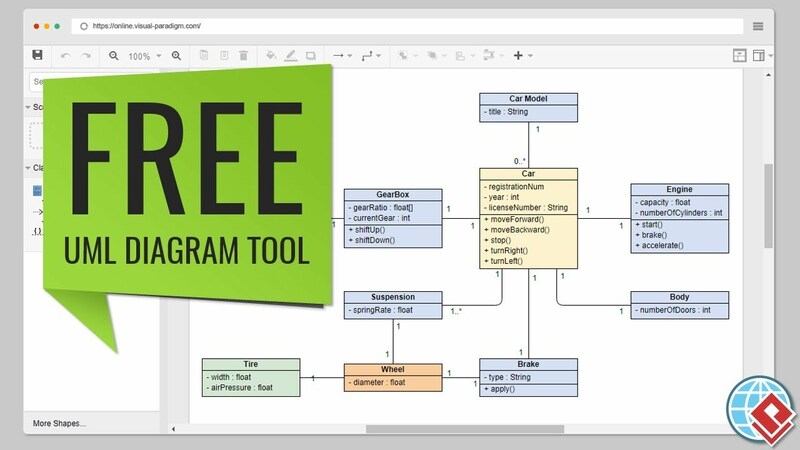 As a versatile free diagramming software, you can also draw ERD, organization chart, floor plan, business concept map and ITIL diagram with Visual Paradigm Online Express Edition. More diagrams are available in paid editions. Cross-platform supported, works well on Windows, Mac, Linux. Easy to use: Total drag-and-drop shape creation. Automatic shape alignment for neat, crisp drawings. Rich set of formatting and styling tools help produce engaging diagrams easily. Free cloud workspace for saving your UML drawings. Seamless transition from Visio through Visio import. Vast export capabilities, including PNG, JPG, SVG, GIF, PDF. Extensive built-in UML templates available to use. Insert your own images to boost visual expression. Try it yourself. Just browse the UML Diagram examples below and click Open Diagram to open and edit. You will see for yourself that it is everything we say it is, or perhaps more.